Victory advancing left, holding wreath and palm. D and small K in left field, F in right field, ASISCE or ASISCV in exergue. 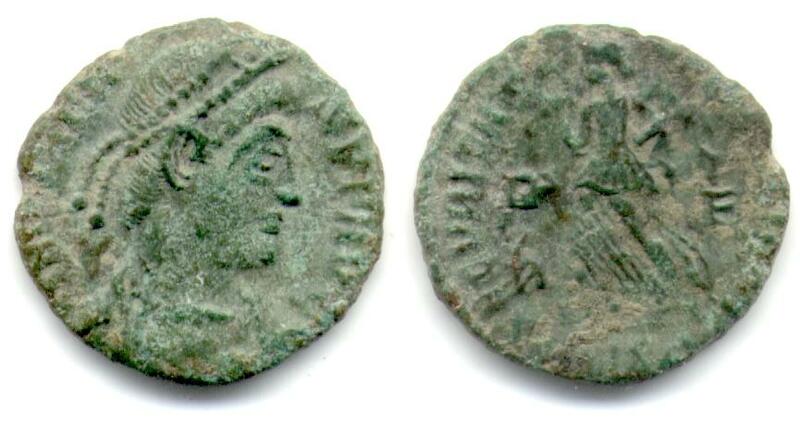 Minted in Siscia (Sisak, Croatia) at officina A, between August 24, 367 and November 17, 375 A.D.